The Stone paper Company can supply these bags with your artwork and message to your preferred size (length x width x Gusset). There are also options for Foiling, embossing, (eg leather finish) spot UV, tags and other embellishments. Enhance your environmental message with Rockstock Rich mineral stone paper bags. Strong and tear resistant - perfect for carry bags and uses where strength is an advantage. Rockstock Rich Mineral Bags are the environmentally friendly bag of choice. 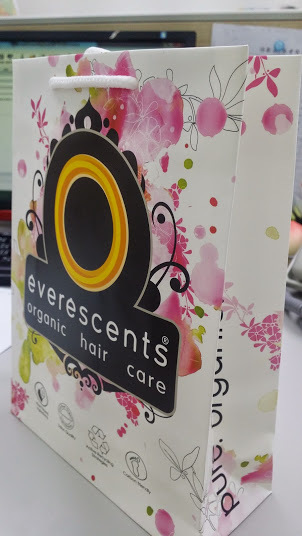 Everscents Organic Hair Care chose the Stone Paper Company as their supplier of Rockstock rich mineral stone paper product carry cags for Australia and New Zealand. Everscents strong interest in an environmental bag lead them to use Rockstock. Their Philosophy shows that all businesses should be responsible for the effect their activities have on the environment. EverEscents is committed to operating a sustainable business ensuring all of their activities are in the best interests of the environment. EverEscents use environmentally sustainable resources and certified organic ingredients wherever technically possible and economically viable. RPD200 micron gives excellent strength and is available from small to large, with options for colours, embossing, surface treatment, foiling, handle choices, etc. Enhance your environmental concerns with your own message. NEW RE-USABLE Rockstock Carry Bags. ( above) are made from Rockstock RBD with non-woven gusset, handles and edging, so hence are durable, withstanding all sorts of punishment. 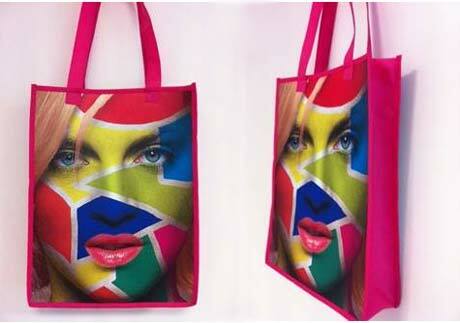 Choose your weight of RBD,dimensions, supply your graphic and we will produce and supply these great bags. Use Rockstock Re-Usuable bags instead of plastic or pulp paper bags and conserve our environment. Brilliant graphics and print results can be achieved. Rockstock is ideal for a large number of bags because of its strength, being waterproof, foodgrade, good creasing, embossing and fold characteristics and the ability to print full colour offset with fine graphics, or just simple colour or colour metal foiling. Rockstock can be heat sealed (RBS or PE coating required)and because of its foodgrade quality can be used for thermo-forming packaging, which makes air and moisture tight containment. Standard Cotton Rope handles (right) with tidy 'pull stop' ends. PMS colours also available. Unique tidy ends stop rope pulling through without a catching knot. A wide range of standard rope colours is available or for a small extra cost we can supply any PMS colour for your rope handles. NEW Lightweight Gusset bags for food outlets eg sandwich or burgers. Made from Rockstock RPS100 micron rich mineral paper made from stone. Strong, more comfortable to carry, strang, compostable, photo-degradable, recyclable, reusable, made from waste material. 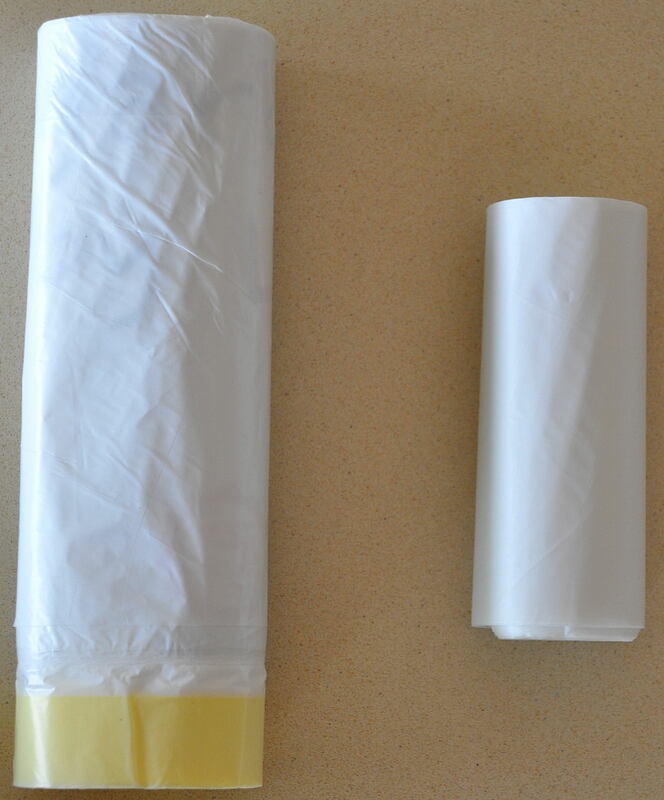 Draw string Garbage sacks and bin liners in perforated rolls. Garbage bag wiith pull draw string incorporated. Please contact us for orders of these bags(minimum order quantities applies).